Hi loves I’ve been shopping again. 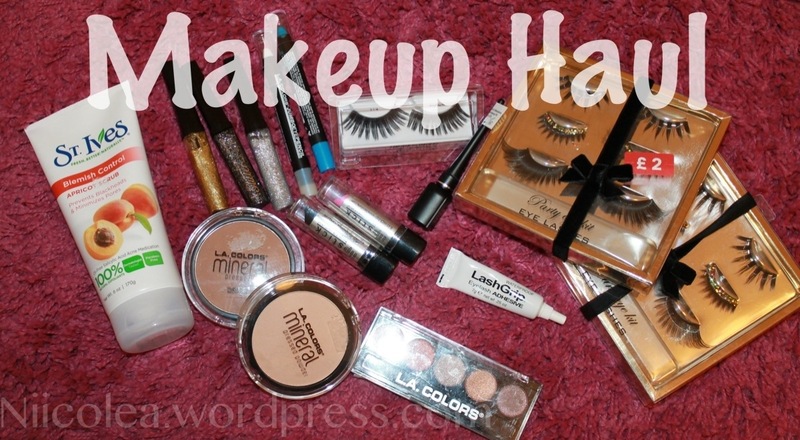 In this makeup haul I mainly picked up products by LA Colors, which is a very inexpensive makeup brand. Let me know if you’d like me to review any of these products! 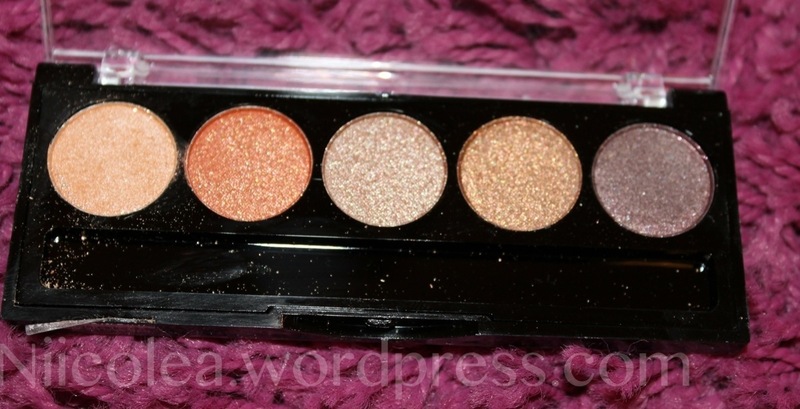 The palette has five shimmery metallic eyeshadows and it was only £0.99. 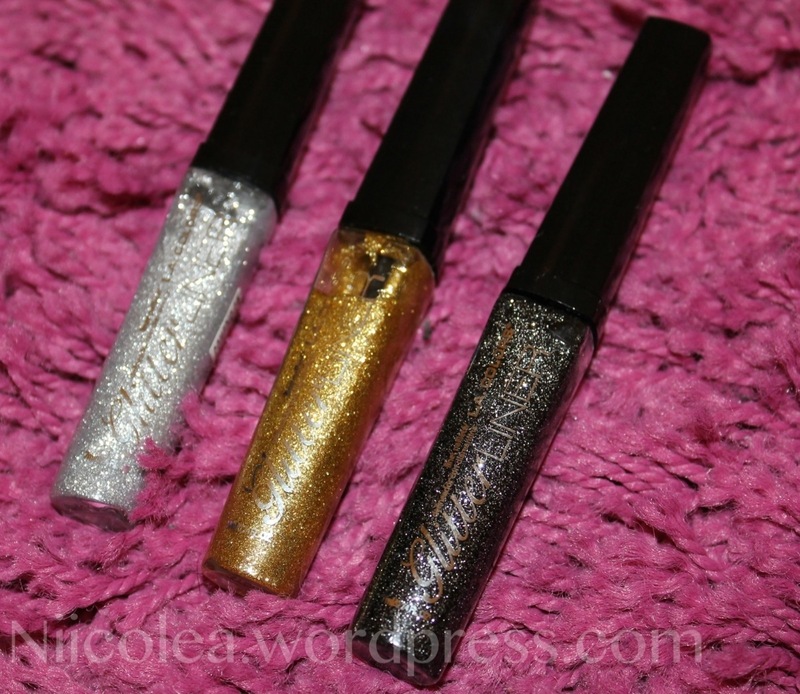 The eyeshadows aren’t bad at all, actually really good. I’m impressed! These Jumbo eyepencils are very similar to NYX’s Jumbo eyepencils but these are much cheaper, I think I bought these for £1.99 each. I will use these pencils as a base for my eyeshadows, they will really help the eyeshadows pop! 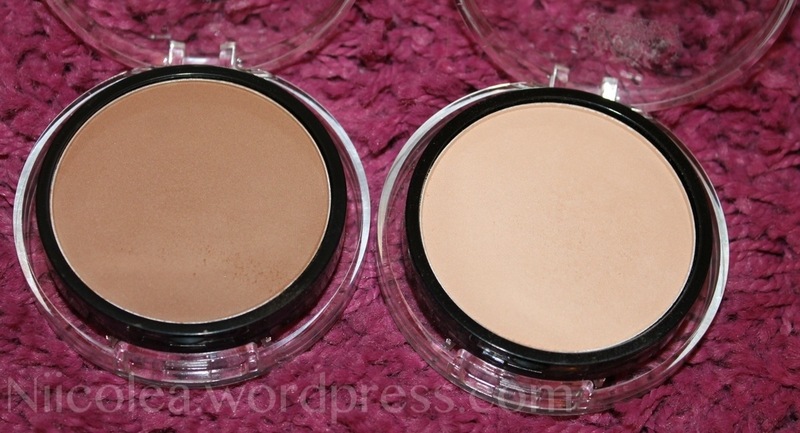 I bought the darkest colour to use for contouring my face and the lighter shade to set my concealer under my eyes. The powders were £2.49 each. 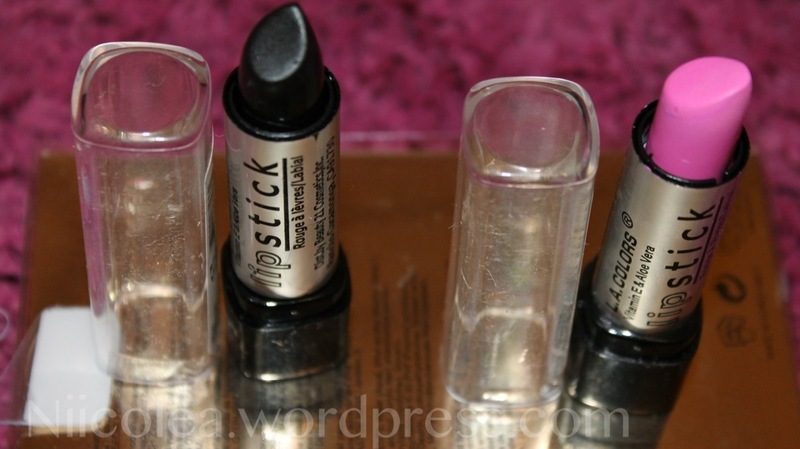 I’m not sure what to do with the black lipstick but its always fun to have it in my collection. Pink Parfait is such a fun and bright colour which is perfect for spring/summer. These lipsticks were only £0.99 each! Insane! A lot of people seems to like these lashes from H&M! I personally think they are really dramatic and fab, which I like! I usually get mine from H&M for £5.99 but they’re now on sale for only £2! So hurry to your nearest H&M! 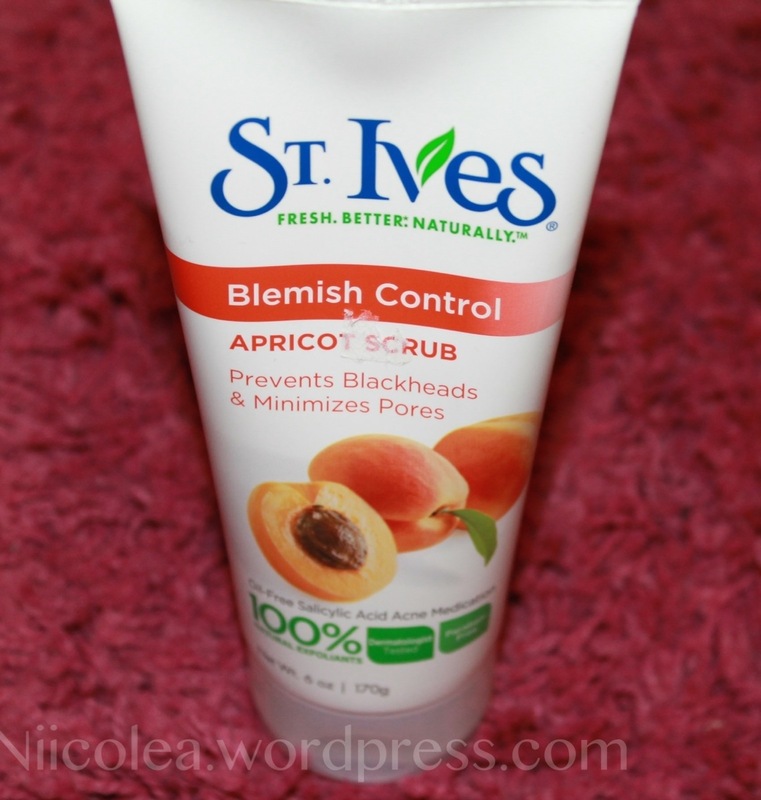 Finally, I purchased the St. Ives Blemish Control Apricot Scrub, which is supposed to prevent blackheads and minimise pores. Those eye shadows are bananas! Never seen this brand, unfortunally! Where are the products made? Palette and eyeliners are so cool!